Furniture with sleek lines, simplistic but clean designs, and bold colors are all great ways to transform your office. These contemporary designs are a fresh alternative to the ornate and formal traditional style. Below are a few design tips to help stage your office with a contemporary flair. First, let us tackle arguably the most important part of the office, the desk. 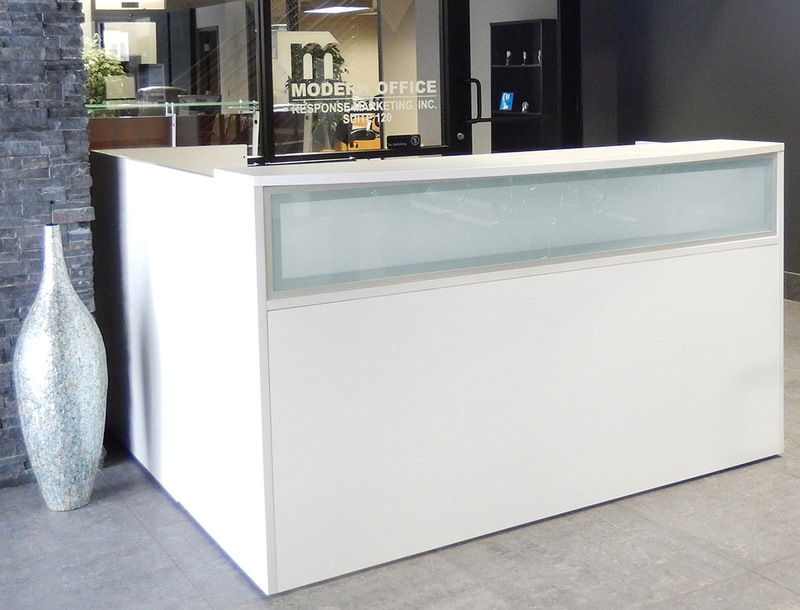 Contemporary office desks allow for the same functionality as our traditional furniture. However, they are designed with simplistic execution. Ranging in a spectrum of bold colors such as white, honey maple, or clay, contemporary desks allow for a vast color scheme to be implemented into the design. In addition, the majority of contemporary office furniture, including desks, consists of a mix of materials such as wood and metal or glass and wood. The combination of materials creates a multi-dimensional aesthetic that traditional furniture lacks. The partnership between varying materials is also the perfect medium between traditional and modern style; it contains the warmth of traditional furniture while also maintaining the sleekness of a modern design. Next, chairs and other seating arrangements come in bright colors such as reds and blues, and it can be the burst of color that is missing from your office. Modern chairs and couches contain a blend of material that is significantly more versatile than traditional quilted leather furniture. A variety of contemporary office chairs are made with mesh technology; they are created with breathable material that is functional, sleek, and comfortable. Our contemporary shelving ranges from sleek metal locker cabinets to charcoal woodgrain file drawers. Once again, contemporary design is all about the co-existence of various materials in a room or on the same furniture piece, which gives you the ability to marry a mahogany desk with silver metal accents to a metal filing cabinet cohesively. Contemporary office furniture helps create an atmosphere that is simple and clean. The extraction of formalities and intricacies in its design also creates an inviting atmosphere that is both professional and sleek. It is the perfect alternative to the traditional style that cultivates personal style and choice within the office setting. 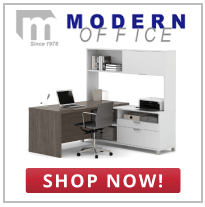 Shop Modern Office’s contemporary office furniture.